Gloucester maintained their unbeaten Gallagher Premiership record with a hard-fought 35-13 victory over Bristol Bears at Kingsholm. The hosts looked in trouble at half-time when they trailed 13-3 after a lethargic display - but they dominated the second half to emerge convincing winners. Charlie Sharples scored two of their tries, with Gerbrandt Grobler, Matt Banahan and Ed Slater getting the others and Billy Twelvetrees kicking two penalties and two conversions. Luke Morahan scored Bristol Bears' try, with Ian Madigan adding two penalties and a conversion. The visitors dominated early possession but were penned in their own half and it was the home side who took the lead with a straightforward penalty from Twelvetrees. 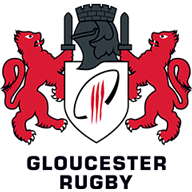 That score was soon nullified when, from the restart, Gloucester were adjudged offside after Twelvetrees had failed to take Danny Cipriani's pass, with Madigan on target with a simple kick. Madigan was then instrumental in his side scoring the opening try. From broken play on halfway, his well-judged chip was collected by Steve Luatua, who sent Morahan away on a 35-metre run to the line. Madigan's conversion gave the visitors a 10-3 lead at the end of the first quarter as the home side continued in subdued fashion. 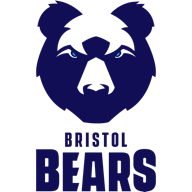 Cipriani tried hard to enliven proceedings with a 40-metre burst but Bristol Bears were able to relieve the danger as their former player, Jason Woodward, conceded a soft penalty. Pat Lam's side had 70 per cent of the possession in the opening half-hour and they were rewarded when Madigan extended their lead with his second penalty. Gloucester raised their game to have eight minutes of continuous pressure but declined golden opportunities to reduce that advantage when they were awarded four penalties in quick succession, all in front of the posts, but opted for attacking set-pieces - only for the visitors to keep their line intact. However, within a minute of the restart, Gloucester finally got over the line. Twelvetrees contested the kick-off to gain possession for Lewis Ludlow to make a crucial burst before Premiership debutant Grobler was on hand to force his way over. Worse was to follow for Bristol as they suffered two further blows in quick succession. First they lost former Gloucester prop John Afoa to injury, before George Smith was yellow carded as the visitors repeatedly infringed. Gloucester immediately capitalised to score their second try and take the lead when Cipriani sent Sharples through a huge gap. Smith was still in the sin-bin when the hosts scored their third try, with Callum Braley's pass giving Sharples an easy run in for his 50th Premiership try. Smith returned but Gloucester now held a healthy 22-13 lead as the third quarter drew to a close - and tries in the closing stages from Slater and Banahan emphasised the hosts' second-half superiority.